Georgia Tech scientist Judith Curry, for instance, labelled a “climate heretic” by Scientific American for her contrarian views, sees a light at the end of the long Obama tunnel. “Here’s to hoping the Age of Trump will herald the demise of climate change dogma, and acceptance of a broader range of perspectives in climate science and our policy options,” she wrote last month on her popular blog Climate Etc. Part of the problem is that no one really knows how many climate change skeptics there are among scientists because of the high personal and professional cost of heterodoxy. William Happer, professor emeritus of physics at Princeton University and a member of the National Academy of Sciences, played his cards close to the vest for years in order survive in a hostile scientific climate. “I held my tongue for a long time because friends told me I would not be elected to the National Academy of Sciences if I didn’t toe the alarmists’ company line,” he said. As the political climate changes, however, climate change skeptics may find their voice and enter a debate that has hitherto been closed off to them. Dr. Duane Thresher, a climate scientist with a PhD from Columbia University and NASA GISS, has pointed to “publication and funding bias” as a key to understanding how scientific consensus can be manipulated. Although scientists are held up as models of independent thinkers and unbiased seekers of truth, the reality is that they depend on funding even more than other professions, since much of their research has no market value. Thus, they will study what they are funded to study. The Obama administration, which doggedly denied that a climate debate even existed, funneled billions of federal dollars into programs and studies that supported its claims, while silencing contrary opinions. Thresher, who has done pioneering work in both tree ring climate proxy modeling and ocean climate proxy modeling, says that scientists know far less about historical climate than people are led to believe. Scientists us climate “proxies” like tree rings and ice cores, Thresher says, as substitutes for real climate measurements. The inferences reached are “inaccurate and unreliable well beyond what is required for the conclusions drawn,” he states. When it comes to forecasting future climate trends, however, the situation is even worse, Thresher contends. President-elect Donald Trump’s choices for key cabinet posts have exhilarated climate scientists tired of being black-balled as “climate change deniers” just because they raise uncomfortable questions. Tapping former Texas Gov. 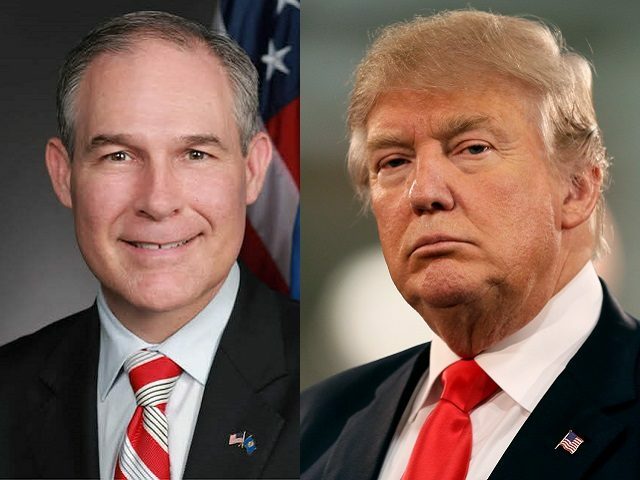 Rick Perry to run the Energy Department, Attorney General Scott Pruitt of Oklahoma to run the Environmental Protection Agency, and Exxon chief executive Rex Tillerson as secretary of state signals a radical change from Obama’s conforming climate alarmists. Every friend of honest debate and free exchange of information will take heart in the changing environment, where every voice will be heard. In the area of climate science, the change couldn’t come at a more opportune time.